The feedback has been very positive. Here are some samples of what people wrote or blogged about his book - all copy and paste. "Wow, verrrrrrrrrrrrry interesting stuff indeed. Someone is going to have to come up with a new Hollywood movie script and call it TITANIC - The Great Coverup! [A] must read if you're a fan of RV and learning how it can be used to solve historical riddles and get down to the nitty gritty truth." "But I should certainly think that Titanic fans would eat this up, and revisit the testimony from the [1912 Disaster] hearings, and see through the cover-up." "I find Joe’s [McMoneagle's] version to be in line with Smith’s personality and with what an intellectually strong man would do. Apparently, nobody else has made such a conjecture. There is something about the...story that I find like the last piece of a jigsaw puzzle – it fits." "In general, it is a terrific story, and I think Joe has nailed two vital aspects, namely, the fact that...the lookouts [find out]... and the other being the way Captain Smith's life ended. " "I read the book. The story is much more complete than we knew earlier. The new parts are revealing, and much more is told especially concerning the two lookouts and their stories." passengers headed for death after the last lifeboat. 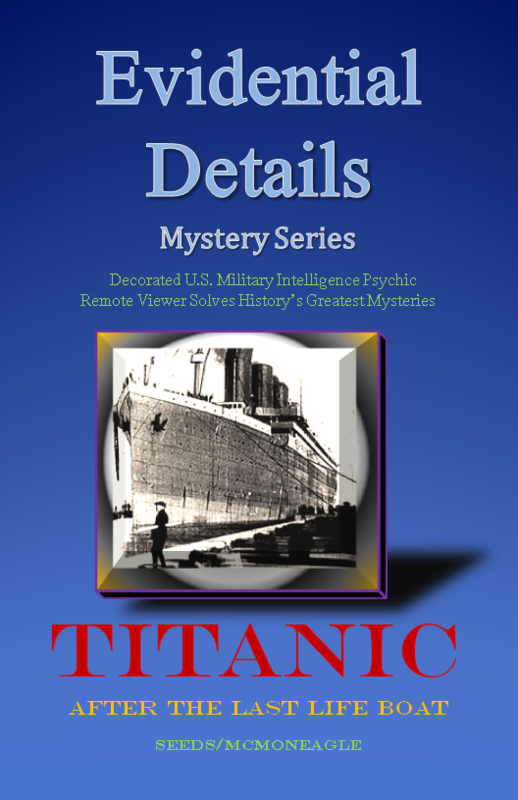 "Just finished reading Titanic and loved it. Found it fascinating the remote viewing after the last boat left and (the) Captain...(dying). How very sad to know your fate. The description of the Captain and the remaining passengers in...(find out)...after the last boat had left was amazing. Felt as if I was watching from above, the detail was very clear. Now about to order Amelia and I know it will be another great story. Thanks for the brilliant reads." ​it will make any titanic buff very excited."